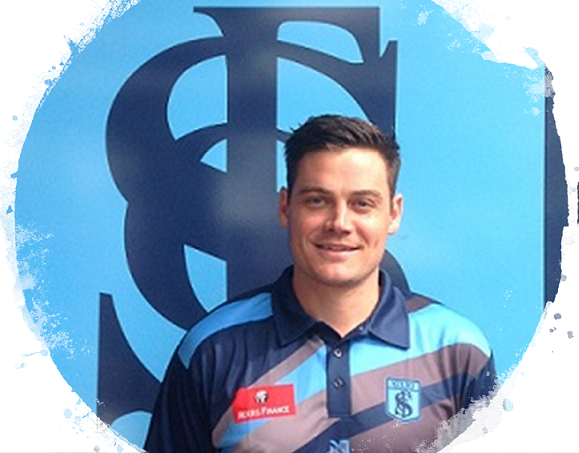 Sturt Football Club has appointed ex AFL player Nathan Grima as its Senior Coach. Grima, 33 years, was recently the Senior Coach at Strathmore in the Essendon Football League. From Launceston Tasmania Grima played for the Tassie Mariners, South Launceston, the Tasmanian Devils and Central District, including their 2007 SANFL premiership. Grima was rookie-listed by North Melbourne in the 2008 AFL Rookie Draft. In 2009 he was promoted to their North Melbourne’s senior list. He went on to play 88 games. He retired due to injury in 2015 returning to play with Essendon in 2016 as a top up player due to the Club’s supplement controversy. Grima has recently returned to Adelaide with his wife Jacinta and two-year-old daughter Amarli. They are also expecting a baby boy any day now. Sturt President Jason Kilic said the coaching panel assembled to find dual premiership coach Marty Mattner’s replacement had no hesitation in offering Grima the role. “We were extremely impressed with him during the interview process and are confident that he will continue the success the Club has had the last few seasons whilst bringing his own brand of football to the Club,” Kilic said. Football Manager Chris Trapp said Grima was an exceptional candidate who presented very well and displayed great enthusiasm for the role. Grima said he was honoured to accept the role, becoming Sturt’s 20th Senior Coach.